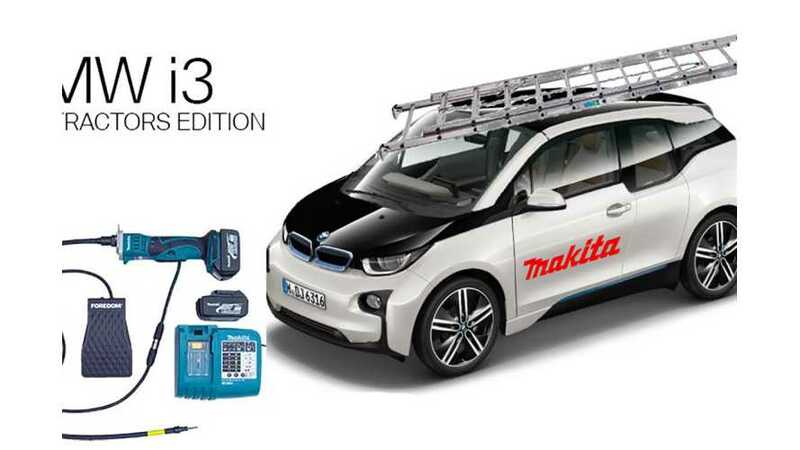 In an effort to bring the BMW i3's level of versatility up to that of the hundreds of thousands of SUVs on U.S. roads, BMW is launching the Makita Contractor's Edition of its tiny electric car. The appeal here is that the Contractor's Edition combines extreme efficiency and lightweight design with the ability to handle the demanding tasks of various construction workers. 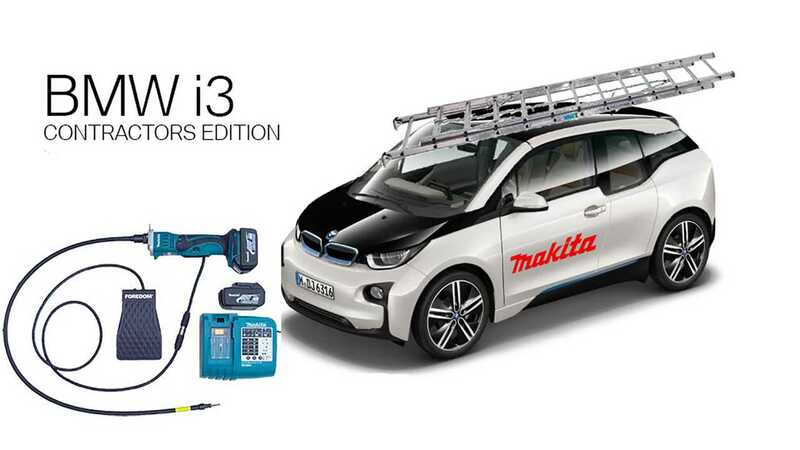 BMW has yet to reveal all the details, but we've learned that a power take-off will allow for Makita tools to be plugged into the i3 to drain its battery as quickly as possible and that the all glass section of the rear hatch has been replaced with plexi so that it doesn't shatter upon unintended contact with the ladder that mounts above. Unfortunately, those are all the details we've obtained today and we assume that much of this information will be inaccurate by tomorrow.